Q. 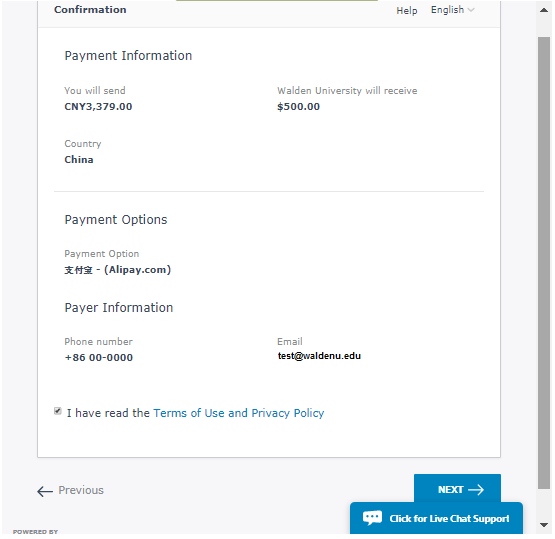 How do I pay my invoice using an Alternate Payment Method as an international student? 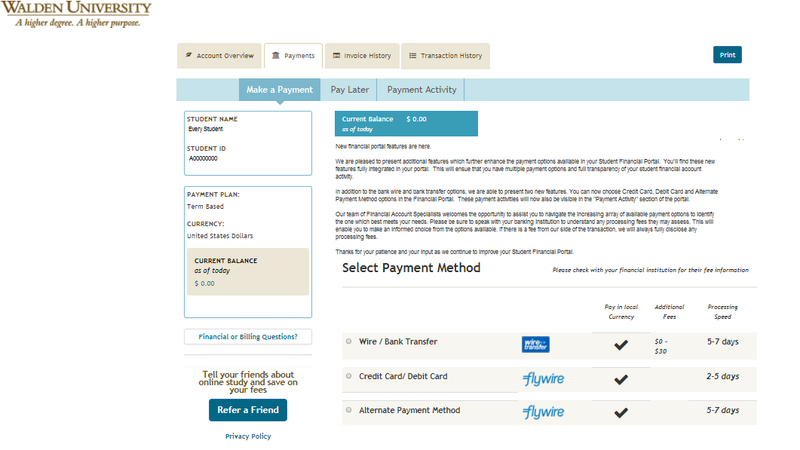 Click “Pay via Alternate Payment Method”. 7. 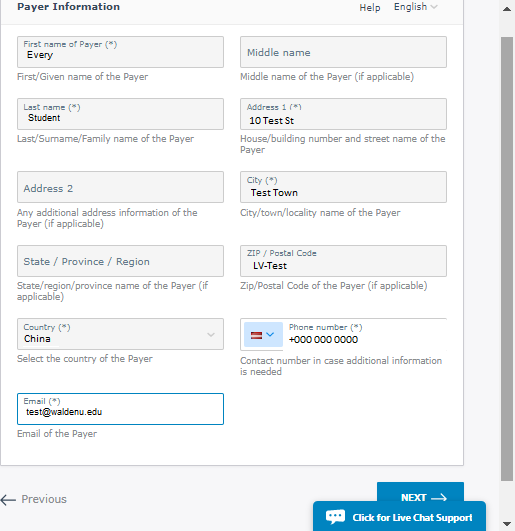 If you are the student, confirm or edit your phone number and enter your email address. If you are paying on behalf of the student, please enter your name, address, phone number and email address. Click “Pay with Alipay”. 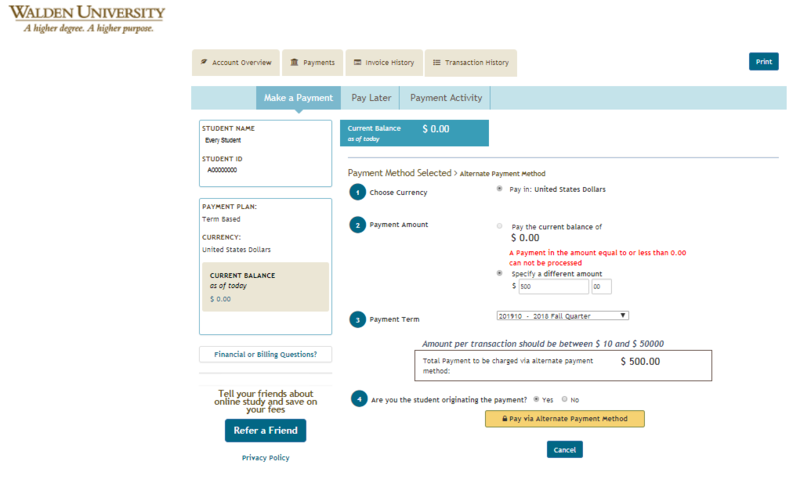 You will be re-directed to your selected Alternate Payment Method site to submit your payment details.